Hedge funds are not perfect. They have their bad picks just like everyone else. Valeant, a stock hedge funds have loved, lost 79% during the last 12 months ending in November 21. Although hedge funds are not perfect, their consensus picks do deliver solid returns, however. Our data show the top 30 mid-cap stocks among the best performing hedge funds yielded an average return of 18% in the same time period, vs. a gain of 7.6% for the S&P 500 Index. Because hedge funds have a lot of resources and their consensus picks do well, we pay attention to what they think. In this article, we analyze what the successful funds think of W.P. Carey Inc. REIT (NYSE:WPC). W.P. Carey Inc. REIT (NYSE:WPC) has seen an increase in activity from the world’s largest hedge funds of late. 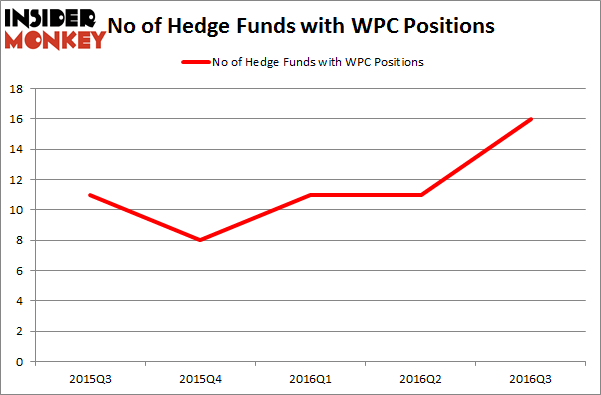 WPC was in 16 hedge funds’ portfolios at the end of the third quarter of 2016. There were 11 hedge funds in our database with WPC holdings at the end of the previous quarter. At the end of this article we will also compare WPC to other stocks including Seagate Technology PLC (NASDAQ:STX), AngloGold Ashanti Limited (ADR) (NYSE:AU), and Helmerich & Payne, Inc. (NYSE:HP) to get a better sense of its popularity. How are hedge funds trading W.P. 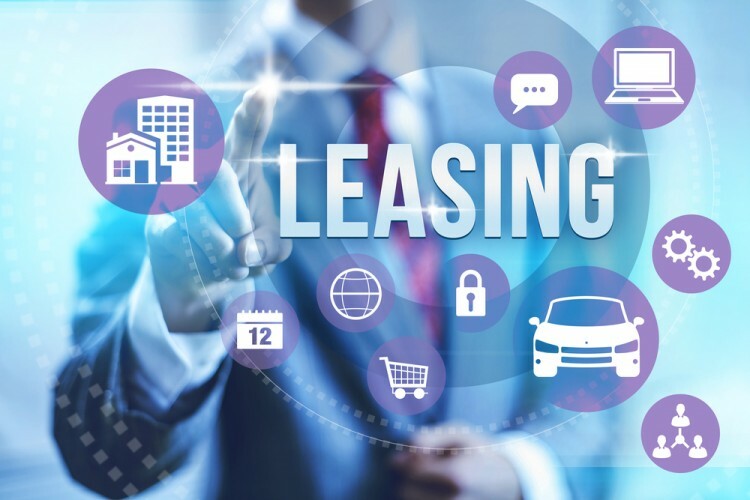 Carey Inc. REIT (NYSE:WPC)? Heading into the fourth quarter of 2016, a total of 16 of the hedge funds tracked by Insider Monkey were long this stock, a gain of 45% from one quarter earlier. The graph below displays the number of hedge funds with bullish position in WPC over the last 5 quarters, which shows a 100% burst in smart ownership since the end of 2015. With the smart money’s capital changing hands, there exists a few key hedge fund managers who were boosting their holdings considerably (or already accumulated large positions). According to publicly available hedge fund and institutional investor holdings data compiled by Insider Monkey, Markel Gayner Asset Management, led by Tom Gayner, holds the largest position in W.P. Carey Inc. REIT (NYSE:WPC). Markel Gayner Asset Management has a $61.3 million position in the stock, comprising 1.6% of its 13F portfolio. On Markel Gayner Asset Management’s heels is Two Sigma Advisors, led by John Overdeck and David Siegel, holding an $18.9 million position. Remaining members of the smart money that are bullish comprise Israel Englander’s Millennium Management, Leighton Welch’s Welch Capital Partners, and David E. Shaw’s D E Shaw. We should note that none of these hedge funds are among our list of the 100 best performing hedge funds which is based on the performance of their 13F long positions in non-microcap stocks. Here is What Hedge Funds Think About Federal Signal Corporation (FSS) Have Hedge Funds Found Something to Love in K12 Inc. (LRN)? Here is What Hedge Funds Think About Green Dot Corporation (GDOT) Federal Realty Investment Trust (FRT): Are Hedge Funds Right About This Stock... 10 Stocks Insiders and Hedge Funds Are Crazy About (part 1) Should You Avoid Graham Holdings Co (GHC)?